Dr. Mack worked in the chemistry industry and later for more that 20 years at Johnson & Johnson Families of Company, Inc., Health Care Company in New Jersey as a Research Sciences and Chemical Engineer. After taking an early retirement, he was employed in 1995 as the Chair of the Chemistry Department, and was chair for fourteen (14) years. He currently an Associate Professor in Chemistry. 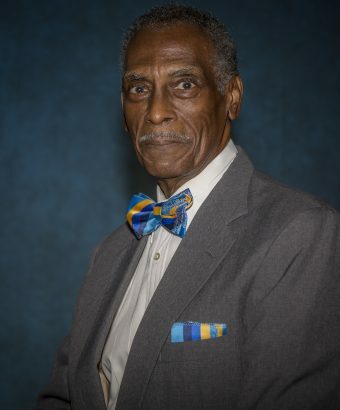 Dr. Mack is a member of the American Chemical Society for 44 years, Phi Lambda Upsilon: National Chemical Honor Society, Member of the Organization for the Professional Advancement of Black Chemists and Chemical Engineers, a member of Bate Kappa Chi Boule and a member of Central Union Missionary Baptist Church. He is married to Shirley C. Mack and we have two grown children and four grandchildren. projects; also teach chemistry courses in general chemistry, advanced inorganic chemistry, and biochemistry as well as serving as a mentor for students. Assignments were to determine the annual production of pollutants generated by waste military munitions at various facilities; to determine which processes caused the pollutants; and how to treat the waste water to reduce amounts of pollutants in the effluent. Taught freshman and sophomore Inorganic and Organic Chemistry laboratories. Developed and taught senior Inorganic Chemistry laboratories. Synthesized organic oligomeric ligands which were reacted to form transition metal complexes. Routinely used UV, IR, ESR, mass and magnetic spectroscopy to study physical properties of metal complexes. Researched and developed new processes and products to meet customer needs for wound closure products and medical devices through manufacturing and marketing management. Developed extrusion processes for manufacture of new high strength fibers that improved suture quality while maintaining costs. Developed pilot plant coating process for VICRYL sutures using non-CFC solvents that we introduced into manufacturing process to meet government environmental requirements while maintaining product quality. Synthesized and processed polyurethane (BIOMER) polymer sold to outside firms for use in improved body-compatible implants. new entry. Worked closely with international affiliates in providing technical support for registration of INTERCEED Barrier in Europe and Asia. JOHNSON & JOHNSON PRODUCT, INC.
Research and Development team project leader for development of medical dressings, therapeutic creams and gels. Responsible for development of new products from concept to manufacturing scale-up. Also provided technical support for $10 million base business segment for therapeutic creams and dressings. Developed antimicrobial dressings with projected annualized sales of $ 3 + million. Developed new extruded vinyl polymeric film process to meet environmental requirements while maintaining quality on product with $10 million in annual sales. Research group leader for synthesis of alkyl silicone resins with responsibility for product and process development research for organofunctional silanes. Routinely utilized GPC, GLC, NMR, TGA, and IR to characterize polymers resins. Developed new PVC plastisol adhesive. Patent application filed. Developed new silicone organic phosphate compound to stabilize boiler water that increased boiler life by 100%. Developed unique high heat resistant solvent less polymeric resin used in electrical coatings. Responsible for projects which developed new organic pigments for automotive uses. water-borne systems. Developed plasticized thermoset and thermoplastic vehicles for automotive topcoats. My teaching load consists of 2/3 teaching and 1/3 administrative. The courses taught are Physical Science 1101, Introductory Chemistry 1101K, Principles of Chemistry 1211K & 1212K, Advanced Inorganic Chemistry 3210, Biochemistry 3250K, Physical Chemistry 4331K & 4332 and Senior Research 4450. The number of courses of instruction consists of at least 8 hours plustwo 3 hours of laboratory which is equivalent to 11 semester hours. The physical science classes (PHSC 1101) consist of 40-50 students per class. Principles of Chemistry I (CHEM 1211K) classes consist of 60-70 students. The Principles of Chemistry II (CHEM 1212K) consists of 30-40 students. The Advanced Inorganic (CHEM 3310) consists of 10-15 students who are all chemistry majors. The Physical Chemistry I (CHEM 4331) consists of 5-10 students who are all chemistry majors. The Physical Chemistry II (CHEM 4332) consists of 5-10 students who are all chemistry majors. Senior Project, (CHEM 4450), consists of 1-2 students per fall or spring semester who are seniors majoring in chemistry. Served as Assessment Coordinator for the Department of Chemistry. Department to enhance and expand the depth and understanding of chemistry for chemistry major. Lintvedt, R. L. and Mack, J. L.” Magnetic Susceptibility of Transitional Metal”, 6 th Central Regional ACS meeting, Detroit, Michigan. April, 1974. Glick, M.. D., Lintvedt, R. L., Anderson, T. J., and Mack, J. L.. Journal of Inorganic Chemistry. 15:2258 (1976). Mack, J. L., Ph.D. Dissertation. “Synthesis, Magnetic, and Spectral Studies of Some Mono and Binuclear Transition Metal Complexes of Substituted 1,3,5-Triketones and their Schiff-Base Derivatives”, 1976. Heeg, Mary, Mack, J. L., Glick, M.D., Lintvedt, R. L., Journal of Inorganic Chemistry. 20:833 (1981). Mack, J. L.,”Magnetic Exchange Between V(IV) – V(IV) in Some Binuclear VO (II) Chelates of 1,3,5 – Triketonates”. NOBCCHE 8 th Annual Meeting, Chicago, IL. 1981.